We’ve already reviewed a Brother embroidery machine, the PE770, and we were not disappointed by its performance. Unlike the PE770, the SE400 is a 2 in 1 device – a sewing machine and an embroidery machine both. Naturally, we will review it from a different point of view. With the dimensions of 20.3 x 15 x 15.2 inches, the SE400 is not a large machine by any means and this shows in the size of the embroidery area (hoop size) too, which is 4 x 4 inches. With that said, this is a combination embroidery/sewing machine meant for hobbyists and beginners, not really home businesses, so the relatively small size is perfectly understandable. While it may lack in hoop size, the SE400 makes up for it with functionality and great ease of use. The brightly lit workspace and the back-lit LCD touch display are perfect for beginners – the display is intuitive and easy to navigate, allowing easy access to built-in designs, control design editing features, tutorials and more. Computer connectivity is pretty much a must these days and Brother have made sure to include that feature in the SE400 too. The machine has a USB port and comes with a decent USB cable, allowing the user to import designs from other devices (downloaded from the internet or self-made), as well as update the machine’s integrated software. 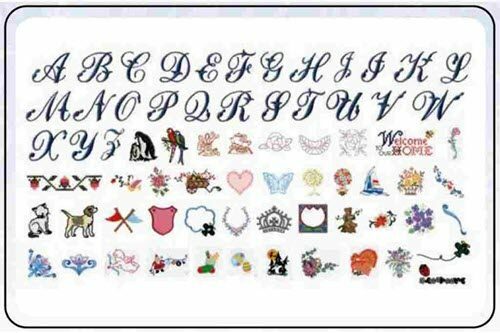 Along with the USB cable, a large selection of accessory feet is also included; buttonhole foot overcasting, zipper, button fitting, monogramming, blind stitch and an embroidery foot all come with the machine. The accessory bag is also filled with useful additions, including: a seam ripper, a needle set, a cleaning brush, two screwdrivers, a touch pen, three spool caps, scissors and three bobbins. Considering the price, which is quite reasonable, the large number of accessories is certainly a pleasant surprise and definitely something that shows a lot of designer effort. Even though these accessories might seem a bit overwhelming to beginners (who this device is meant for), they’re all very useful and easy to use. For those that have a hard time adjusting to the sheer complexity of the SE400, the concise and well-written user manual (available in English and Spanish) might come in handy. 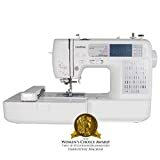 All in all, the SE400 is a great, highly practical embroidery/sewing machine for hobbyists and beginners. Now, let’s see how it performs. More about that below. 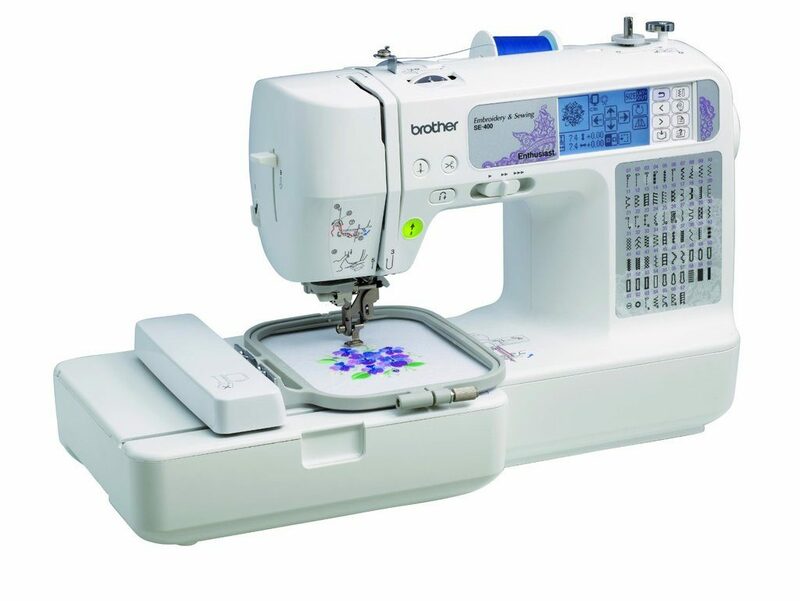 Much like most recently released Brother products, the SE400 embroidery and sewing machine combines modern technology (for maximum efficiency and ease of use) with more traditional features. This eclectic combination is somewhat expected, but Brother have gotten it right, once again. The SE400 is a solid, well-functioning device. The SE400 comes with 70 built-in designs, 120 built-in frame patterns and 5 different font styles. Of course, thanks to the USB connectivity, the possibilities are limitless and the user is free to import more designs. Still, it’s always great to have built-in, ready to use designs, styles and patterns. 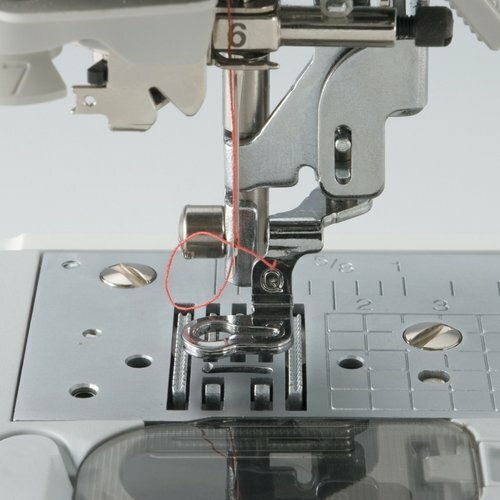 There are also 67 built-in sewing stitches, making the SE400 a feature-rich embroidery/sewing machine. On top of the large selection of built-in features, the automatic needle threader and the easy bobbin preparation system (prepares bobbins quickly), as well as the jam resistant so-called drop-in bobbin system, the SE400 comes across as a highly automated device, perfect for creative, yet inexperienced individuals who want to unleash their creativity. Brother have really managed to produce a great combo machine. The SE400 has just about everything you could need and more – tons of features and useful little accessories are included, the USB connectivity is also there, as well as overall ease of use and practicality. They have done a great job with design and the machine performs very well. The low price is just another added bonus. Simply put, unless you’re not about to start a home-based business, the SE400 is absolutely perfect for you and will, without a doubt, fulfill all of your creative needs.